I hope that everyone had a wonderful Thanksgiving, here in the U.S. I was able to enjoy the day cooking and baking. I made a Sweet Potato Casserole, a vegan version of the same, and baked an apple pie in a bag. 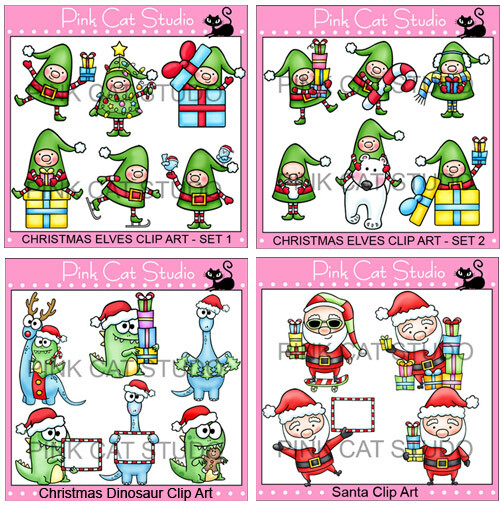 Melissa (Pink Cat Studio) came up with 2 clip art sets of the cutest Christmas elves, an adorable Christmas dinosaur clip art set and a fun Santa clip art set. You can find all of these HERE. 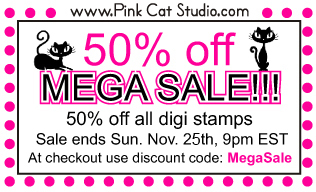 Melissa's once a year 50% off MEGA SALE starts tomorrow and ends on Sunday evening! Take advantage of the special savings on her SUPER cute sets! I could not decide which of the images to use so I selected two of the elves with presents. I thought it would be neat to have them sticking out of windows. 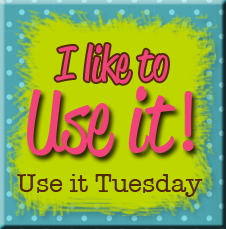 I haven't been in a scrapbook store in a couple of months so I didn't have any current stuff to use. It's always good to use scraps, right? 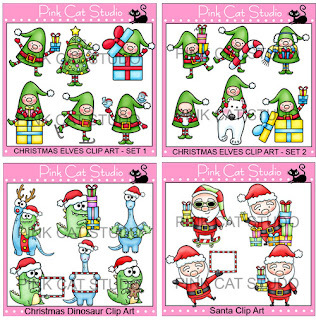 For more inspiration and information, please head over to Pink Cat Studio! 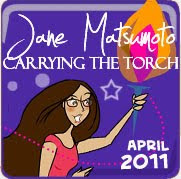 This is such a fun card Jane! I love it! Thanks so much! !